Big congratulations to Octobers Monthly Madness prize draw winner Morne Prinsloo! Morne has been a great customer for a long time and we were so happy when his name came up for the draw, great news! 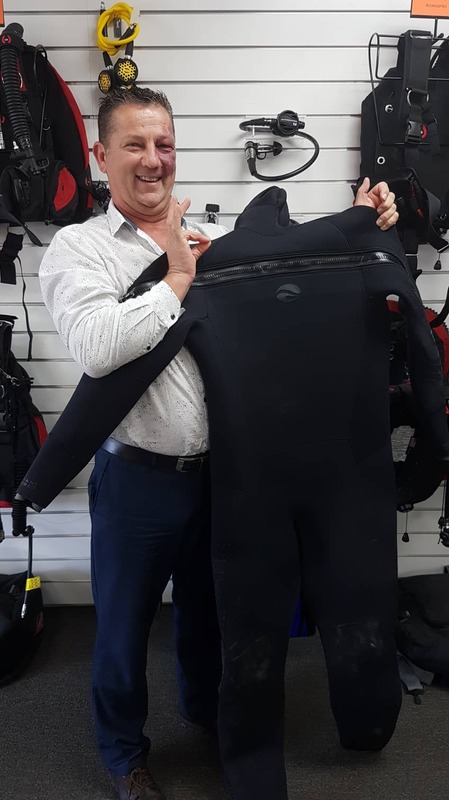 He’ll be upgrading his current well-loved suit to a brand new BARE Velocity, keeping Morne nice and warm during his many dives this summer. Spend $100 in store any time this month and you could be our next lucky winner.